No wonder beauty and hair go hand in hand. While it is important to maintain a beauty regime for good skin, it is equally important to have great hair to compliment it. Who doesn’t crave for those bouncy, lustrous, long & strong tresses, but unfortunately not all are blessed to be born with it. Should we worry? A firm NO. 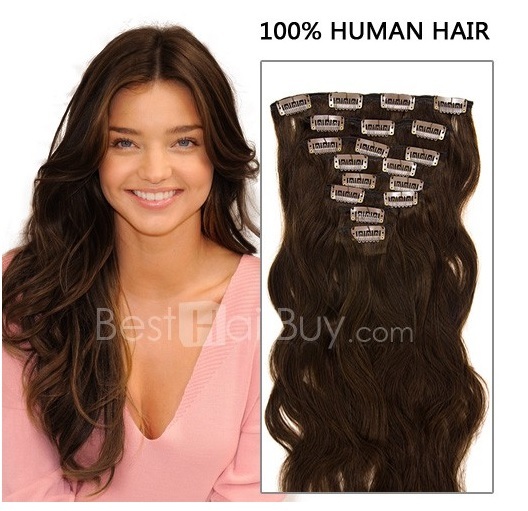 Human hair extension is the best way to give that irresistible look to your hair and ‘Besthairbuy.com’ is a one stop source to have the kind of hair we all long for and which will garner as many accolades in no time. You can see how these Clip-In Hair Extensions (below) adds to the luster and durability. The color is perfectly matched; hair looks natural and is manageable as well. No need to use those hot curling irons to get a nice curl when these effortlessly elegant waves turn you into an unbelievably perfect chic. See(below) how perfectly these extensions : Virgin Brazilian Hair & Brazilian Hair Bundle, blend with the hair color, the welts are full from top to bottom and the hair feels so silky. When you have these hair extensions on, no one can tell you that you have them. They are all that you expect from hair extension and more. Aren’t they? Disclaimer: Make sure you are well accustomed to heads turning, because they are going to make everyone stop and stare & will fetch you a lot of admiration. Goes without saying, its time you say goodbye to the all too painful bad hair days that always seem to sneak up on you when you really need your hair to look perfect.